Welcome to LabelOn ™ Labeling Systems, where our clients take pleasure in the machines of optimum standard in the industry from simple product labeling application to high speed, cutting edge technology . We are leaders in the design innovation and building of pressure sensitive label applicators. Our machines have been supplied in three continents: Australia/Oceana, Asia and North America. LabelOn ™ supplies a wide selection of fast, dependable and economic labeling equipment for any industrial and manufacturing prerequisites. 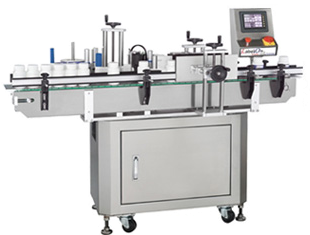 These are labeling machines that automatically apply pressure sensitive labels to an assortment of products. Pressure sensitive labels compose of label substrate and adhesive. We are proud of our machines designs and development that meet the demands for quick changeover of parts, user friendly set up, low upkeep and routine service to be employed in general production of food & beverage, chemicals, plastics, pharmaceutical, gaming, electronics, contract packing or warehouse environments; each with their own unique requirements for self adhesive labeling. With genuine comprehension of overwhelming level of variables that has to be considered in the label application process, the LabelOn™ Modular Label Applicators have emerged. This modular machinery is priced to knock out any serious competition. In addition to quality and capability, our modular machines have combination of features which are unmatched by machines nearly double its price. Every company frequently has their unique specifications and necessities. A number of LabelOn™ Basic pre-configured ranges are offered dependent on the range of product shapes to be labelled. 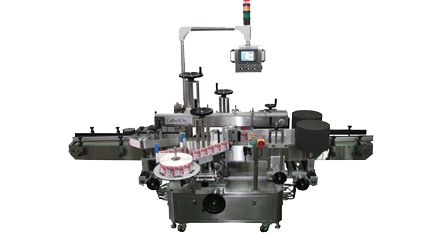 LabelOn ™ Basic Label Applicators are our entry level, low cost labelling machines.